Kirk L. Cook, D.C is a life-long resident of Temple, Texas and graduated from Temple High School in 1989. He received a B.S. degree in 1993 from Southwest Texas University and then a Doctor of Chiropractic degree from Parker College of Chiropractic in Dallas in 2000. Kirk also received a secondary B.S. degree in Human Anatomy. 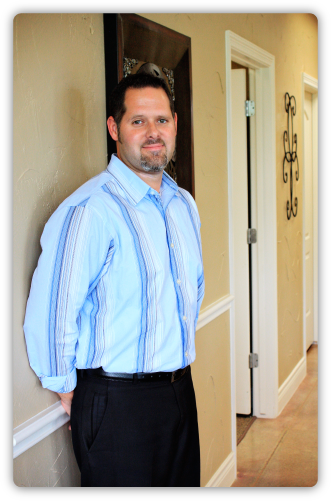 He has been in practice in Temple since 2000 and has recently built and moved into a state of the art chiropractic center. Kirk is also a member of the Texas Chiropractic Association. Kirk is marred to wife Dawn and has two daughters, Blair and Abby. He is a member of Temple Bible Church and enjoys hunting, golfing and spending time with his family.